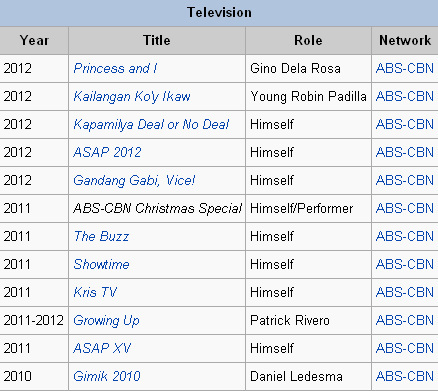 Daniel John Ford Padilla (April 26, 1995) is a Filipino actor. He is the Son of Rommel Padilla and Karla Estrada and the Nephew of Robin Padilla. He is the eldest son of Karla Estrada who has 3 siblings on mother's side (Carlito/JC , Margaret/Magui, and Carmela/Lelay) and another 3 on his father side. (Matthew, RJ and Roanna).